On August 17, 2012 California Governor Jerry Brown signed into law Assembly Bills 805 and 806 and thus ended the California Law Revision Commission’s trek to reorganize the Davis-Stirling Common Interest Development Act (“the Act”). AB 805 effectively relocates the Act to a new Part 5 (commencing with Section 4000) to Division 4 of the Civil Code, while AB 806 cleans up numerical references to the Act contained in various California statutes. 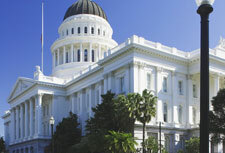 The Community Association’s Institute (“CAI”) is an organization dedicated to providing “information and education to community associations and the professionals who support them.” CAI’s California Legislative Action Committee (“CAI-CLAC”) had a substantial amount of input in the legislative process over the past two years and ultimately supported AB 805 in its final form. The law does not become effective until January 1, 2014 to provide HOA industry professionals, homeowners, Board Members and attorneys some time to become acquainted with its new reorganized form. The reorganization purported to clarify current provisions of the Act without making any substantive changes. There are, however, some changes that have been made. Our firm looks forward to assisting our clients and their management in 2013 with understanding those changes and the ways in which they may impact the day to day operations of their communities. Click here to read CAI-CLAC’s blog post on AB 805.